UPDATE: Will ASR’s Framerate Concerns Worsen in Multiplayer? 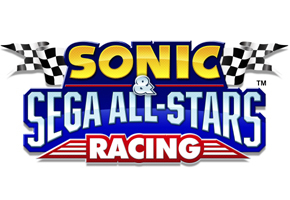 So far, the big complaint out of the time some have spent with the Sonic & Sega All-Stars Racing seems to be with the inconsistent frame rate. Our editor noticed it, and many of you have also. So far, such criticism has been deflected on assurances the demo was from an earlier build of the game. But if one person who’s played the full edition has anything to say about it, while those issues appear fixed in a single-player experience, those immersed in multiplayer may have a different story to tell. This, according to Sonic Retro moderator Overlord, who was one of a small group of UK based fans able to see the Sonic themed room at Alton Towers Saturday. As part of the experience, there was a full copy of ASR waiting to be played. UPDATE: While the claim in the above article is that the copy of ASR is “full,” we have word in from ArchangelUK, who states the build played is “pretty much final, minus some tweaks.” He then claimed the build wasn’t the retail copy going to shelves soon. At this rate it isn’t quite apples versus oranges, but if this element of the game is of concern to you, there remains some hope this will be fixed for the copy going to store shelves. As games have evolved, matters like frame rate consistency have become a touch less important in evaluating a game’s overall quality, particularly in the eyes of professional reviewers. But most important is what you think. Does frame rate matter to you in a game like this? Start a discussion below, in our comments area. We are less than two weeks away to the launch of ASR. There is hype, but also concern. TSSZ News is here to bring you both sides of the coin, as we approach launch day.